The Creativity Post | Is it Time for a Personal Growth Mindset? Our focus on competition, grades, and standardized test performance is actively robbing children of the opportunity for the sort of personal growth that really matters. In education circles, the phrase "growth mindset" is everywhere. According to Carol Dweck, those with a growth mindset believe that intelligence can be developed over time, whereas those with a fixed mindset believe that intelligence remains stable across the lifespan. "No matter who you are, you can significantly change your intelligence level." "You can always substantially change how intelligent you are." "No matter how much intelligence you have, you can always change it quite a bit." "You can change even your basic intelligence level considerably." Dweck and her colleagues have found that fostering an academic growth mindset can raise school grades, and reduce racial, gender, and social class gaps in academic achievement (see recent review). The reality is that intelligence (as traditionally defined in an academic context) doesn't really budge all that much in our predominant educational paradigm. The research shows that the school a person attends, and the quality of education they receive in fact plays little role in the growth of general intellectual functioning, whereas schooling does impact the growth of standardized test scores (see here). So yes, we can teach to the tests. And having an academic growth mindset may cause growth in standardized testing, but it doesn't actually show growth in general intellectual functioning. 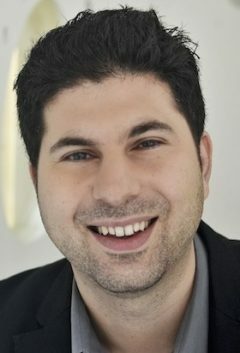 What's more, while general intellectual functioning is associated with growth in standardized test performance (those with higher levels of working memory, processing speed, and abstract reasoning show the greatest growth in test scores), growth in standardized test performance does not improve general cognitive ability. Standardized tests are so superficial from a learning perspective that any growth that one makes on the test rarely generalizes to general intellectual functioning, or even longer-term retention. But isn't there a bigger picture here? Don't we care about more than just grades, test scores, and yes, even general intelligence? What about deep, meaningful learning that students will remember the rest of their lives, that connects the material to their own personal dreams and strivings? What about helping students learn about themselves and their identity? Or helping them find their unique passions and inclinations, and cultivating that through engagement in personally meaningful projects? I believe it's time to move beyond an academic growth mindset (beliefs about intelligence) and embrace a personal growth mindset. ** In her 1989 seminal paper "Happiness Is Everything, or Is It? ", Carol Ryff argues that the drive to actualize oneself and realize one's potentialities is critical to well-being. 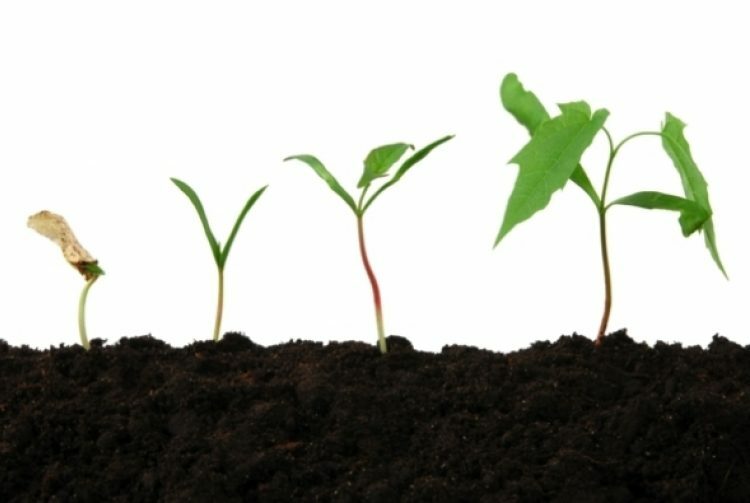 The person with a high drive for personal growth "has a feeling of continued development, sees self as growing and expanding, is open to new experiences, has a sense of realizing his or her potential, sees improvement in self and behavior over time, [and] is changing in ways that reflect more self-knowledge and effectiveness." Ryff argues that too much emphasis has been placed on "happiness" (short-term positive emotions) at the expense of more enduring life challenges such as gaining a sense of self-realization. Indeed, many great thinkers throughout history have made the case that the highest of all human goods may not be happiness, or even achievement, but the realization of one's full self. Ryff has found that those who report a sense of continued growth and development as a person also tend to score higher in self-acceptance, purpose in life, positive relationships with others, the capacity to manage effectively one's environment, and a sense of autonomy in life (see here). In fact, all of these components of well-being are interrelated because they reinforce each other. Ryff has also found that the drive for personal growth decreases with age, most strikingly between midlife and old age. As Ryff notes, opportunities for continued growth and development and for meaningful experiences may be limited for people as they age. Which is unfortunate considering that older people report that they value personal growth and humans are living much longer today than ever before. I haven't done the research yet, but I'm willing to bet that a personal growth mindset is correlated not only with well-being, but also predicts the kind of deep, meaningful learning we really ought to care about in school. In fact, I believe our focus on competition, grades, and standardized test performance is actively robbing children of the opportunity for the sort of personal growth that really matters. Are you interested in activities that will expand your horizons? Do you think it's important to have new experiences that challenge how you think about yourself and the world? Do you feel as though you have really improved yourself as a person over the years? Do you have the sense that you have developed a lot as a person over time? Do you enjoy being in new situations that require you to change your old familiar ways of doing things? Has life been a continuous process of learning, changing, and growth for you? I think these sort of questions more directly get at what educators really like about Dweck's theory. This shift from an academic growth mindset to a personal growth mindset offers the opportunity for schools to cultivate the whole person, not just intelligence. Each one of us has our own unique set of potentialities, and our current standardized testing climate is squelching all children from becoming who they really could be. Not just in school, but in life, one of the most important things we can all cultivate for optimal well-being and success is a personal growth mindset. How many of us are truly open to new experiences and are courageous in pursuing challenging activities that make us feel alive? That make us feel like we are contributing to the actualization of our deepest selves? There's no doubt: Dweck's growth mindset theory has been incredibly influential in education. I just see so many more possibilities. Not just for education, but for all of us. Note: For more on how schools can foster self-actualization, see Maslow's beautiful book "The Farther Reaches of Human Nature". * The truth about ability is that we all differ in our unique pattern of abilities, and all abilities develop through a complex interplay of nature and nurture. That's a more nuanced view than the binary fixed vs. growth dichotomy. I believe one can have realistic (but optimistic) beliefs about his or her pattern of strengths and weaknesses while at the same time holding a personal growth mindset that allows us all to be a better version of our selves. These need not be incompatible with each other. ** I think a personal growth mindset is what Dweck really means by the term today anyway-- at least when she steps outside of the educational realm. For instance, in Mindset, Dweck talks about how a growth mindset can inform parenting, business, and relationships, in addition to education. When she talks about the importance of cultivating a growth mindset in these other domains, what she describes sounds a lot more like a personal growth mindset than beliefs about intelligence. I think part of the issue here is that in her early work, she focused on beliefs about intelligence, and only later started referring to the beliefs as a "mindset". But her measurement never really caught up with her concept. Unfortunately, I see educators focus on the beliefs about intelligence aspect, and miss out on the bigger picture. That's of course not all Dweck's fault. See here for Dweck's thoughtful clarification to educators. *** Items adapted from Ryff's scale.